2012 - The Year of the Dragon marks the 14th anniversary of AsianConnections.com. Wait! This is 2018! What happened? A hacker got into our system - so alot of pages are missing here, but good news we have alot archived! Meanwhile, as this website is being restored we want to Thank you! for reading our many contributors articles! The AsianConnections.com team includes award-winning writers who have a passion for writing stories about and for our Asian Pacific American communities. Their interpretive voices also help to inform and engage others who want to learn more about our diverse cultures, lifestyles and people. 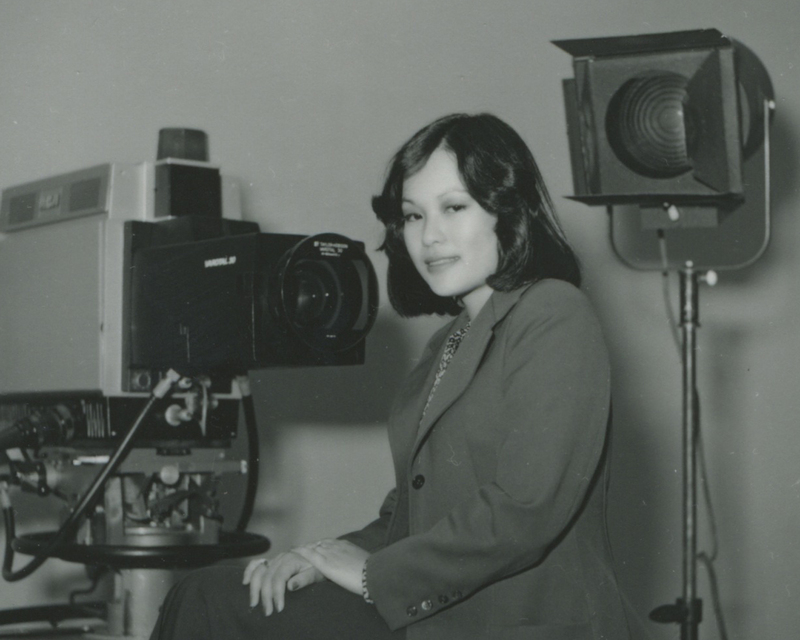 AsianConnections viewers have unprecedented access to some of the top experts, change-makers, and celebrities. A junior high school kid searching for his roots originally created and developed AsianConnections.com. He was already helping a company buy and sell water pump equipment online between the U.S. and Switzerland, and then one day he sketched out AsianConnections.com and posted it online. 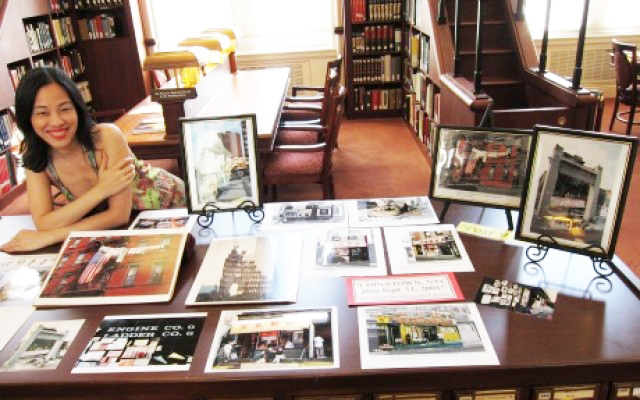 It was his personal project to explore his Asian American identity and to help empower people to connect globally to share their Asian American experiences. Michael Kai was 14 when he developed the online community, to portray us in real life, as diverse, multi-dimensional people rather than the inaccurate stereotypes most commonly found in mainstream media. 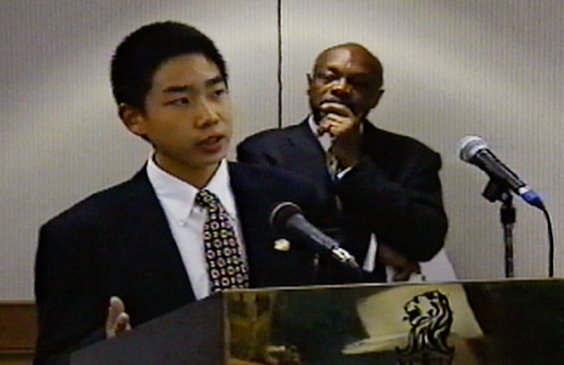 With a significant part of the world population being of Asian descent, from the very beginning, the humble web site created a positive movement with people reaching out from all backgrounds and walks of life, from all across the U.S. from New York to San Francisco, Vancouver, Shanghai, Seoul, Tokyo and many parts in between, who shared his vision. The response also was tremendous from people learning for the first time about Asian culture, business, trends and lifestyle. Today, thanks to his early vision and activism, and support from many people and companies who share his vision, AsianConnections.com is proud and honored to have among its friends, advisors, partners and writers from many disciplines including entertainment, food, travel, business, education, law, government, health, feng shui, music, and sports. Mike went on to go to Yale and as a senior won the Grand Prize for an annual innovation competition sponsored by the Yale Entrepreneurs Society. While at college, he also had fun pranking Harvard, at the annual Harvard-Yale football game. That stunt which went viral on the web, earned Mike and his co-prankster Dave Aulecino a story in The Economist Magazine, and a personal visit to the Governor's offices to be congratulated by then Governor George Pataki, a Yalie, of course. Mike is now leading his dream internet start-up to enable people to create and manage their own websites fast and free. While we all cheer him on in his current projects, we thank him for his legacy of creating AsianConnections. 1998 isn't really that long ago, but for the Internet, it feels more like a century. Scouting for stories, we rejoiced in the fact that Jerry Yang had co-founded Yahoo!, then the biggest star in the constellation of online ventures. Today January 17, 2012, it was announced that Jerry Yang has left Yahoo! I think with Jerry leaving the building, they should take the exclamation point off of the Yahoo! name. It feels like an era has ended with his departure. What a ride that was for Jerry. Born on February 6, 1966, Jerry Yang has a lifetime ahead of him and we wish him well and hope he continues to innovate. Digging into our archives here is a commentary by contributing writer Tom Chin, and a photo of Jerry and his Yahoo! co-founder David Filo. 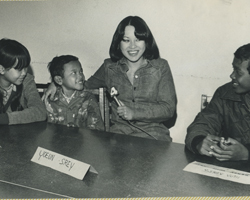 We will go back into our archives again and also post Jerry's exclusive interview with AsianConnections.com. By the way, in honor of the Year of the Dragon, there is a new beginning - the site is being refreshed. Yes, the site has looked a little raggedy at times like a well-loved old teddy bear missing a button here or there, as all of us on the team have led busy lives. One of our rock star columnists, is literally a rock star journalist, Ben Fong-Torres, showing another side of him on our pages rarely seen anywhere else. Since the time he began writing his column LIKE A ROLLING STONE for AsianConnections.com, he has also completed a million major projects including publishing nine books. One day he's hanging out with Johnny Depp and the next, he's out with Quincy. Quincy Jones. 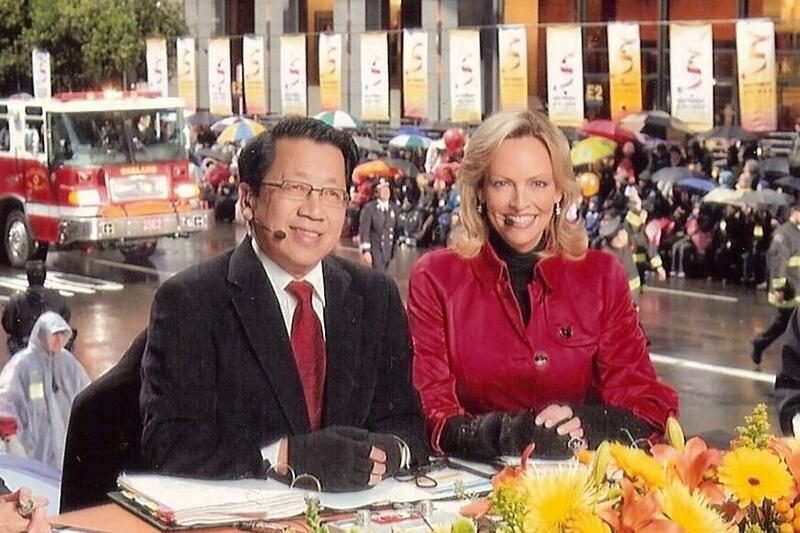 Ben is co-hosting the upcoming annual KTVU-TV live telecast of the Southwest Airlines Chinese New Year Parade in San Francisco. (That's Ben with co-host Julie Haener. The photo was shot by the talented San Francisco Bay Area photographer Frank Jang who is a friend and frequent contributor to AsianConnections.com.). And when we have other bloggers contributing, they really are 'out in the field' - as in outer space. U.S. Astronaut Leroy Chiao regularly blogged messages to us from his space station during his space flights to AsianConnections' columnist and editor Lia Chang. And when Lia Chang brings back stories, images and video for AsianConnections.com, you can see that you are really getting a 'backstage pass.' This multi-faceted bright light of pure energy is an actress, model and photographer. If its New York Fashion Week, she's not only writing about the fashions, she's wearing them, too. One year, her face was plastered all over Fashion Week. She was on the runway for Yeohlee's fashion show. 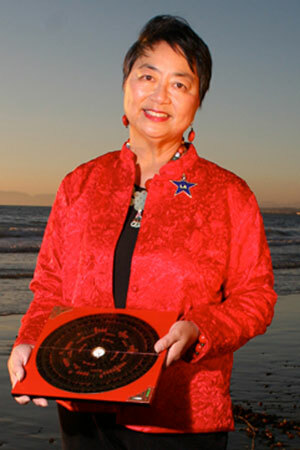 We are proud that her images of Asian Pacific Americans in Theater, as well as her other collections, including her images from 9/11 which were first shown at AsianConnections.com, are now housed at the Library of Congress. We always have said that if AsianConnections.com, the website, were a real person, we'd be giving it hugs every day. It has brought joy and inspiration to so many people around the world. There will be a lot more images and videos. We have many wonderful people to thank for their efforts to host, maintain and contribute to this adventure called AsianConnections.com. Our site used to be hosted for years on the servers of movie review site RottenTomatoes.com thanks to its founders and their team, while I helped out when it was a start-up as one of their first national ad directors and video producers. I'm flattered and humbled to say that one of the members of the RottenTomatoes.com team said that I actually wrote the first major ad contract for them with one of the Hollywood studios. We will now add back the hundreds and hundreds of exclusive features and interviews we've done over the years including the first known U.S. - Asia web simulcast, which AsianConnections produced for Warner Bros. with Jet Li, upon his arrival to Hollywood. AsianConnections led the web simulcast engaging audiences in the U.S. and in Asia. The archives will be in easy, searchable databases. Plus, we will include a collection of recipes hand-picked by some of the world's greatest chefs including Roy Yamaguchi, and Master Chef Martin Yan who has been our good friend, contributor and supporter since day one. We have a treasured video interview with the late, great Julia Child for her favorite rice recipe. Angi says "don't worry, be happy," the world is not coming to an end as some people might think. Quite the contrary, she says. The world will experience a new beginning. She is an advisor to Fortune 500 companies, and has been featured in many TV programs such as Regis and CBS Morning News, and publications such as Time Magazine, the Los Angeles Times, USA Today, and the New York Times. 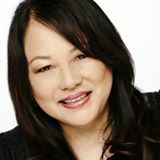 She's the only Feng Shui expert who was an invited guest with OPRAH. And if we can, for the New Year, we will also offer a way for you to interact with many of the people featured on our pages. - the untold story of Rolling Stone's legendary writer and first music editor! 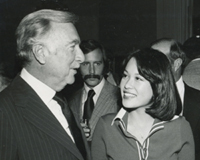 Walter Cronkite, visiting us at the SF Press Club.